Identity theft insurance can be a policy on its own or integrated with some other insurance which allows identity theft victims to recover expenses related to identity theft recovery and identity restoration such as lost wages, phone bill costs, mailing costs and perhaps even attorney fees although this particular part usually needs to be negotiated beforehand. The trek to restoration can be long and arduous, and identity theft insurance can help identity theft victims make up for monetary damages. In the unfortunate event that identity theft criminals steal personal information to use it as a means to impersonate others for financial gain or other reasons, the costs of having to restore the identity, repair credit reports, and take other recovery actions to fix the harm can be quite extensive. In such cases, it is valuable to have identity theft insurance so that these expenses can be covered in order to get everything back to normal as quickly as possible. The severity of the identity theft crime was highlighted and further brought to the public's attention in the wake of the Equifax data breach in 2017.
Who Should Get Id Theft Insurance? Some consumers may be more prone to such criminal activity than others. In the past, stolen wallets and purses were some of the most prominent ways for thieves to obtain credit card numbers, social security cards, licenses and other forms of personal info. Nowadays, online shopping can also be a problem since there is a lot of information being stored even without the consent of the consumer in many cases. This might be what is termed implied consent so that just doing business with a person or organization is enough leeway for them to hold on to the details for quite a long time in many instances. Identity theft insurance is basically a ubiquitous type of policy which almost everyone could benefit from if they happen to fall victim. Unless a person is living a completely hermit lifestyle, then they could probably benefit from paying the small annual outlay to make the difference. Certainly large data breach cases which are abundant make the case for a small fee in exchange for unforeseen expenses in identity theft cases. Remember the Target data breach case? The ID theft insurance may not make sense for everyone but if you worry about the crime or have less disposable income to cover your expenses, it make make sense to have an ID theft insurance. Where Can The Insurance Be Bought? Identity theft insurance is frequently included as part of a larger homeowner and renter policy. Some of the other dominant names in the industry will offer it as a policy of its own. It is important to check into the details to understand the extent of coverage, costs, and underlying conditions. As mentioned above, the coverage will generally handle any expense which can be shown to have resulted from identity theft. 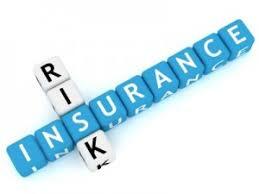 The cost will vary depending on the insurer, but the typical cost ranges from $25 to $60 per year. Consider taking an online identity theft course.